A quick update to say that I have released version 1.0 of the source code for the ChipStomp. I’ve spent a fair bit of time making sure that the source is documented in the areas that are less clear and I have removed all redundant/experimental code in an attempt to avoid confusion with things I haven’t finished yet. That took a lot longer than I would ever have imagined. 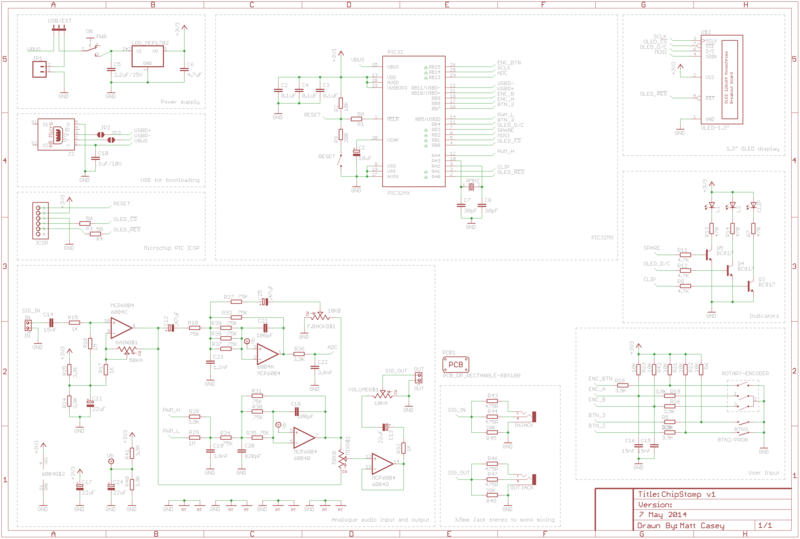 You can find the entire project including the Eagle CAD schematics and Layout up on GitHub. It’s done. 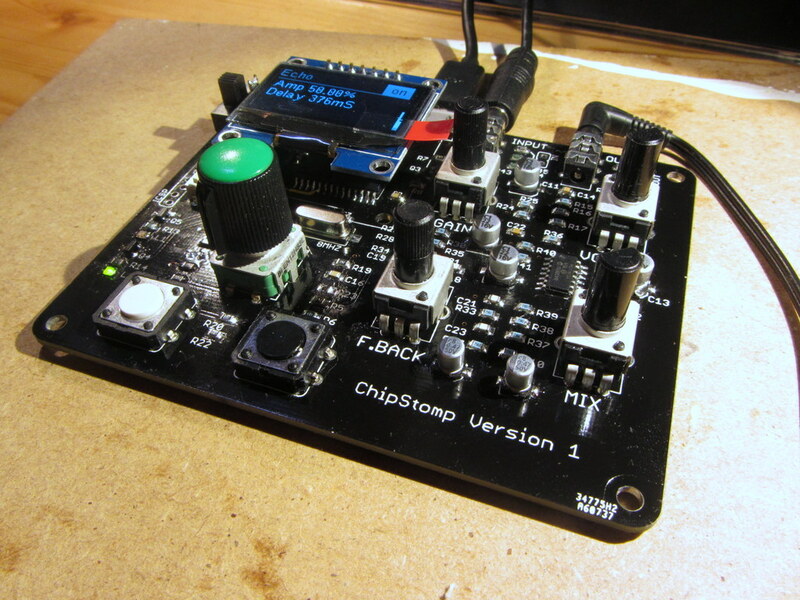 I’ve assembled the analogue side of the Chipstomp and finally have a fully working device. There were no errors to fix this time which was a nice surprise. Just lots of fiddly 0805 surface mount components to place. I’ve made a quick video of the project to demonstrate what it can do. I found some time this weekend to start assembly of my Chipstomp’s. ChipStomp version 1 PCBs fresh out of the bag from China. Here are the schematics for the Chipstomp. I’ve tried to keep as much compatibility with the original DP32 circuit but I have removed superfluous elements such as the on-board potentiometer and one of the user leds. 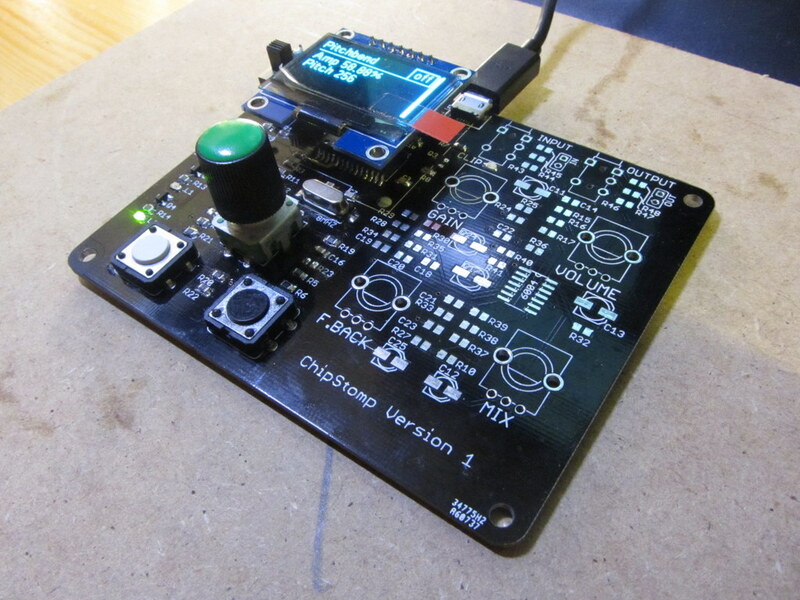 I’ve also added an additional tactile button, the OLED and resistor mixed Stereo to Mono input/outputs. 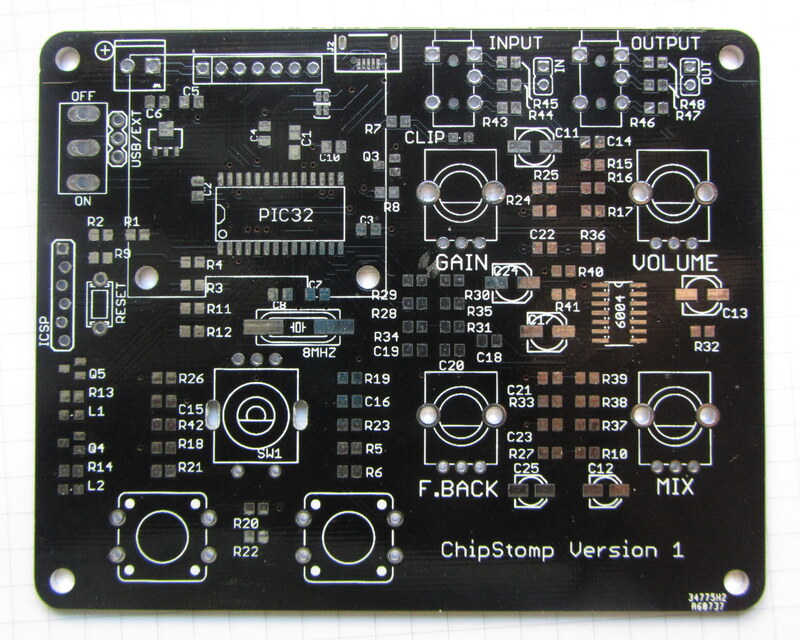 Other than that it’s essentially just a joining of the ChipKit DP32 with the Stomp Shield. Here’s a video update on where I am with my Drum-machine project. In the past few months I’ve implemented a fair few new features and sorted out some long standing bugs. A new menu mode using the joystick to navigate. Added control over the LCD Backlight. Added a simple Reverb mode. 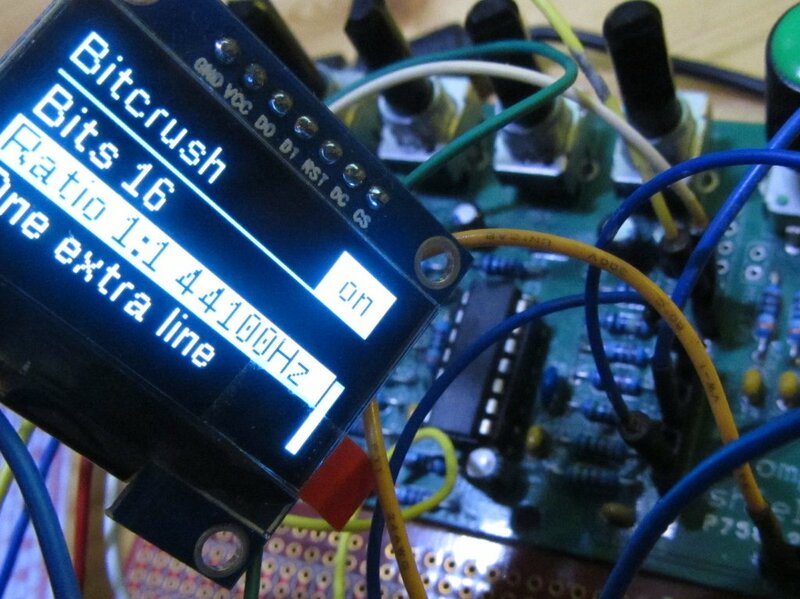 New LCD driver code to render graphics to a buffer and squirt it out to the LCD via 9bit SPI. Includes a basic graphics library with some widgets to make creating screens easier. Fixed an odd issue with LED’s flashing out of sequence. I had my MAX6957 ports all out or order. Added RUN LED flashing to every 4th beat. Implemented loading and saving to one of 16 JSON files on the SD card. Added a Tuning mode to allow you to individually set the volume and adjust the playback rate of each instrument/sample.